You are here: Home » Blog » Travel » Top 10 Most Expensive Hotels In The U.S. Most of us mere mortals would be happy to find a hotel for $100 a night that was in a safe area with good parking and maybe a free continental breakfast every morning. But for travelers for whom money is no object, paying thousands of dollars a night for a luxe hotel room is just another thing to do. Here are the most expensive hotels in the United States. The hotels were rated by the starting cost for a double occupancy room. 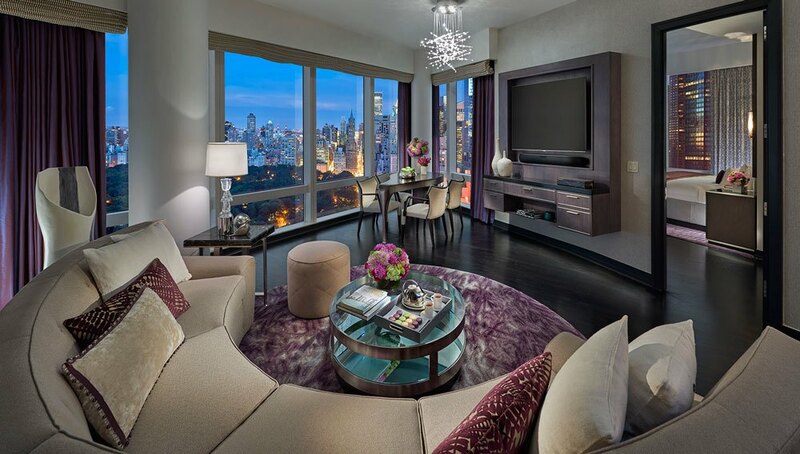 The Mandarin Oriental is across from Central Park and offers guests skyline views of the city. Sound systems, WiFi and flat screen TVs are outfitted in guest rooms, as well as desks, soaking tubs, and marble bathrooms. Cost: $995/night for a double.